Below you’ll find a list of applications to which Dyflexis can be connected. Is the application you want to connect to Dyflexis not listed? Get in touch! We will be pleased to see whether it is possible to create the interface that you need. Dyflexis can be connected to a variety of payroll processing services. This allows you to effortlessly exchange information between Dyflexis and the required software. It also means that you never have to duplicate work and you avoid mistakes. Loket.nl makes it easy to manage all your HR and remuneration matters in one place and can easily be connected with Dyflexis. Nmbrs® is an easy-to-use online payroll system with all necessary functionalities to manage your remuneration as efficient and simple as possible. With Afas and Dyflexis you’ll simplify the administrative work regarding your payrolling and you’ll always have a complete overview of the current state of affairs. 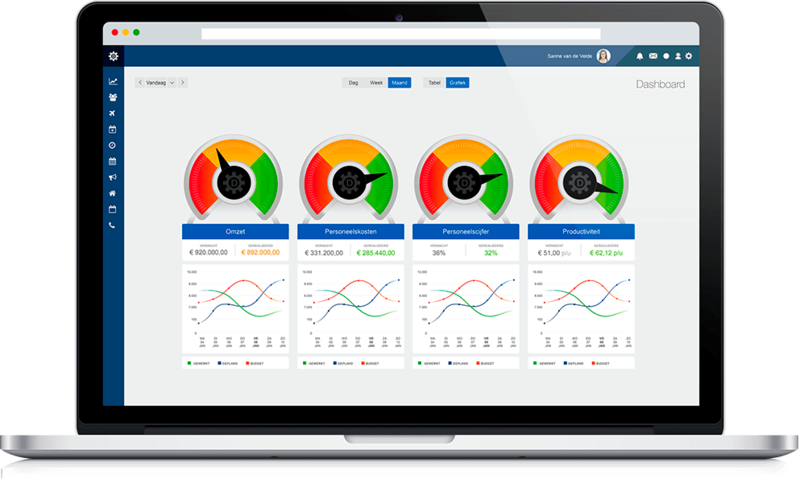 The smart Visma eAccounting software makes bookkeeping simple and efficient. And with the interface you’ll remunerate in no time. ADP offers a complete payroll solution that can be connected with Dyflexis. For effortless bookkeeping, remuneration and personnel scheduling. With the interface between Dyflexis and Salar employees will always have access to their schedule, registered hours and remuneration details. Unit 4 develops “No-nonsense software for staff management and remuneration”. With the connection between Unit4 and Dyflexis, you are sure to streamline the entire process of you staff management. With the Raet Payroll software it is easy to manage your salary administration. And with the connection between Dyflexis and Raet, your staff will always be up to date about their schedule and remuneration. If you use a cash register, it is possible to connect your cash register system to Dyflexis. This connection enables you to exchange sales information between your cash register and Dyflexis. This is convenient when you want to make a comparison between sales and staff costs.